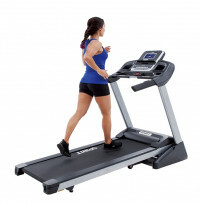 The XT185 is our entry level treadmill. It is as dependable as our other models, but with a few less programs and features. It will satisfy individuals that thrive on minimal programming and the desire for simplicity to initiate their walk/hike. Easy to understand command prompts or the ability to just press Start to begin your journey are attributes of this model. 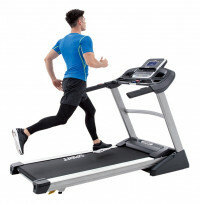 The XT285 has the same features as the XT185 plus two heart rate programs, an audio jack for digital music listening, and a deck that is 1/4" thicker to accommodate runners and higher weight capacities. This model is very appealing to someone that walks and is at a transitional stage to running. The XT385 has the same options as the XT285 plus two User programs, up to 15% elevation capability, Aluminum side rails, larger motor with wider belt, and frame uprights stability bar for a more solid feel.